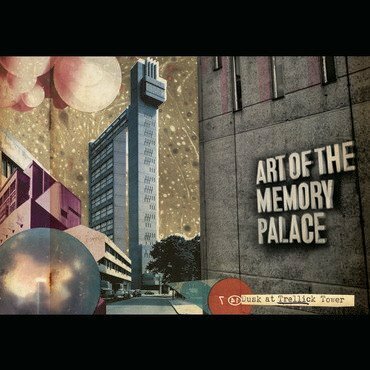 Manchester / Dundee based duo Art Of The Memory Palace release their highly anticipated new EP, Dusk at Trellick Tower. Dusk at Trellick Tower is inspired by Hungarian Brutalist architect Erno Goldfinger; a towering presence in Modernism who courted controversy throughout his life. Known for being a humourless man prone to vicious rages, as well as the inspiration for Ian Fleming’s most notorious Bond villain, Goldfinger. Across the six tracks, Ullah and Mitchell channel the darkness and dystopia which grew from much of Erno’s work, building synth-heavy sonic edifices evoking lonely night time walks along empty echoing corridors, urban decay and towering, impassive concrete monoliths. Using analogue synthesizers, drums, bass and tape loops processed through long chains of effects pedals, Art Of The Memory Palace strive for greater depths with this release, weaving menacing hooks and icy vocals together with droning chords and ambient soundscapes and creating their own shade of dark, beautiful melodies in the process.